Civilian deaths have risen dramatically in Iraq since the country was invaded in March 2003, according to a survey conducted by researchers from the Johns Hopkins Bloomberg School of Public Health, Columbia University School of Nursing and Al-Mustansiriya University in Baghdad. The researchers found that the majority of deaths were attributed to violence, which were primarily the result of military actions by Coalition forces. Most of those killed by Coalition forces were women and children. However, the researchers stressed that they found no evidence of improper conduct by the Coalition soldiers. The survey is the first countrywide attempt to calculate the number of civilian deaths in Iraq since the war began. The United States military does not keep records on civilian deaths and record keeping by the Iraq Ministry of Health is limited. The study is published in the October 29, 2004, online edition of The Lancet. “Our findings need to be independently verified with a larger sample group. However, I think our survey demonstrates the importance of collecting civilian casualty information during a war and that it can be done,” said lead author Les Roberts. The researchers conducted their survey in September 2004. 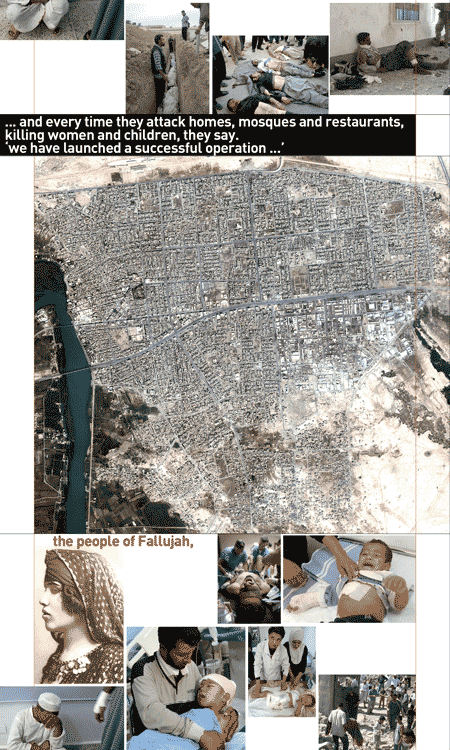 The results were calculated twice, both with and without information from the city of Falluja. The researchers felt the excessive violence from combat in Falluja could skew the overall mortality rates. Excluding information from Falluja, they estimate that 100,000 more Iraqis died than would have been expected had the invasion not occurred. Eighty-four percent of the deaths were reported to be caused by the actions of Coalition forces and 95 percent of those deaths were due to air strikes and artillery. “There is a real necessity for accurate monitoring of civilian deaths during combat situations. Otherwise it is impossible to know the extent of the problems civilians may be facing or how to protect them,” explained study co-author Gilbert Burnham.